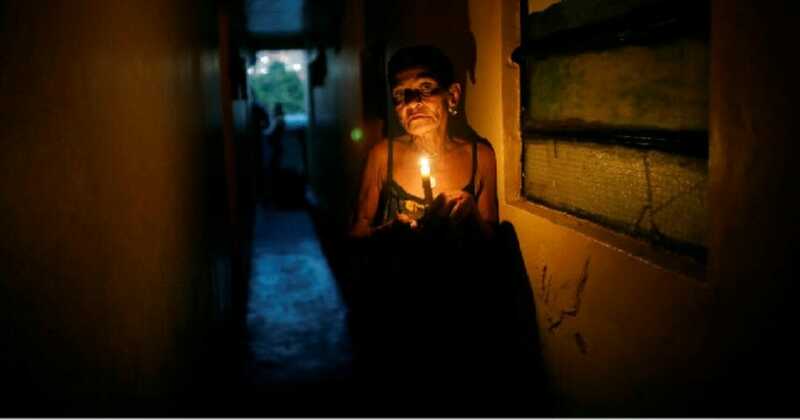 A new power outage spread across much of Venezuela on Monday, knocking communications offline and stirring fears of a repeat of the chaos almost two weeks ago during the nation’s largest-ever blackout. The outage began shortly after 1 p.m. local time and appeared to have affected as many as 16 of Venezuela’s 23 states, according to reports on social media. As with the previous outage, the government of President Nicolas Maduro sought to blame U.S.-backed opponents, accusing them of sabotaging the Guri dam, the source of the bulk of Venezuela’s electricity. The government said the “attack” had already been controlled, with service restored in many areas and others expected to come online in the coming hours. “The damage that took five or six days to repair in the electrical system after the first attack carried out by the right-wing we recovered today in a few hours,” Communications Minister Jorge Rodriguez said in a televised address. Like other small business owners, 27-year-old restaurant manager Lilian Hernandez was bracing for the worst even as service started flickering back on in parts of Caracas. Netblocks, a non-government group based in Europe that monitors internet censorship, said outage had knocked offline about 57 percent of Venezuela’s telecommunications infrastructure. Do you think civil war is coming to Venezuela? In a telephone call, U.S. Secretary of State Mike Pompeo told Russian Foreign Minister Sergei Lavrov that “the United States and regional countries will not stand idly by as Russia exacerbates tensions in Venezuela,” the State Department said. Pompeo’s call to Lavrov came after a Venezuelan official said Russian aircraft arrived in Caracas over the weekend as part of ongoing military cooperation. The U.S. and dozens of other countries support Guaido, who says Maduro’s re-election last year was rigged. Maduro alleges the U.S. and Guaido are plotting a coup.